When it comes to your home — likely the largest investment ever — preventive maintenance goes a long way to ensure your home is safe and free from damage. Preventive maintenance also extends the life of your home’s existing materials. 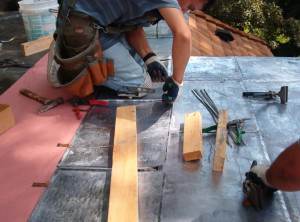 As a siding installation company, a roofing contractor, and a gutters company (among other services) Custom Installations offers a variety of services to make sure your home is in tip-top shape. We have the experience and knowledge needed to perform a variety of outdoor jobs. 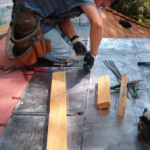 From chimney flashing and caulking, to gutter cleaning and soffit venting, no job is too big or too small. We also will inspect the outside of your home, recommending any service necessary to prevent problems in the future, including water damage or a worn roof. At Custom Installations, we also offer snow removal services for those heavy Chicago area snow falls. From private drives to large parking lots, we will work with you to clear your space and keep you safe. Because of the vast services we provide, we have the ability and know-how to provide maintenance of all kinds. To learn more about the wide-variety of maintenance services we provide, contact us online today, or call (847) 906-0993.